The coloring’s been the longest I’ve done in weeks! Two days! That house is too detailed, argh! 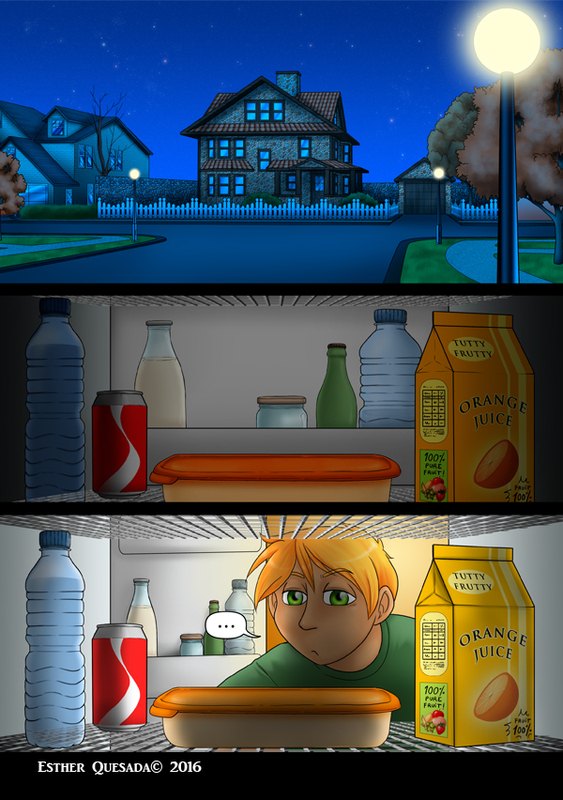 By the way, Ryan there… even if it’s supposed to be winter or late autumn, he only has cool drinks. I guess that’s what you need when you’re around fire so often. He must be tired too, with those sleepy eyes. We’ll see a little more of his house in the next pages.